English is crazy…. We’ll begin with a box, and the plural is boxes; but the plural of ox becomes oxen not oxes. One fowl is a goose, but two are called. 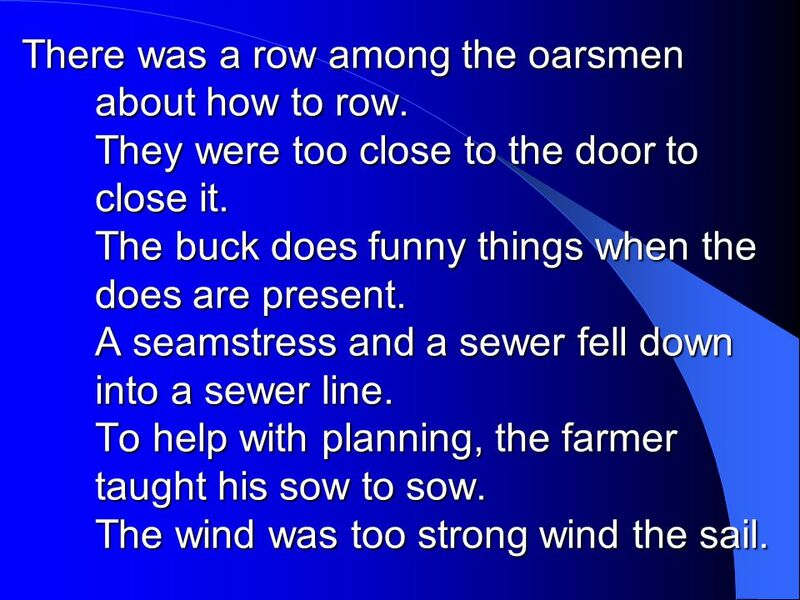 2 We’ll begin with a box, and the plural is boxes; but the plural of ox becomes oxen not oxes. One fowl is a goose, but two are called geese, yet the plural of mouse should never be meese. You may find a lone mouse or a nest full of mice; yet the plural of house is houses, not hice. 3 If the plural of man is always called men, why shouldn’t the plural of pan be called pen? If I spoke of my foot and show you my feet, and I give you a boot, would a pair be called beet? 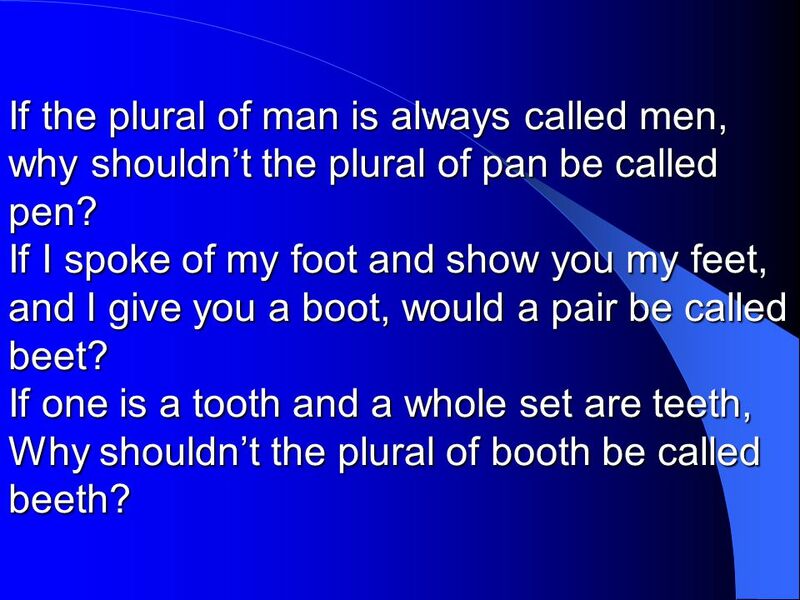 If one is a tooth and a whole set are teeth, Why shouldn’t the plural of booth be called beeth? 4 Then one may be that, and three would be those, yet hat in the plural would never be hose, and the plural of cat is cats, not cose. 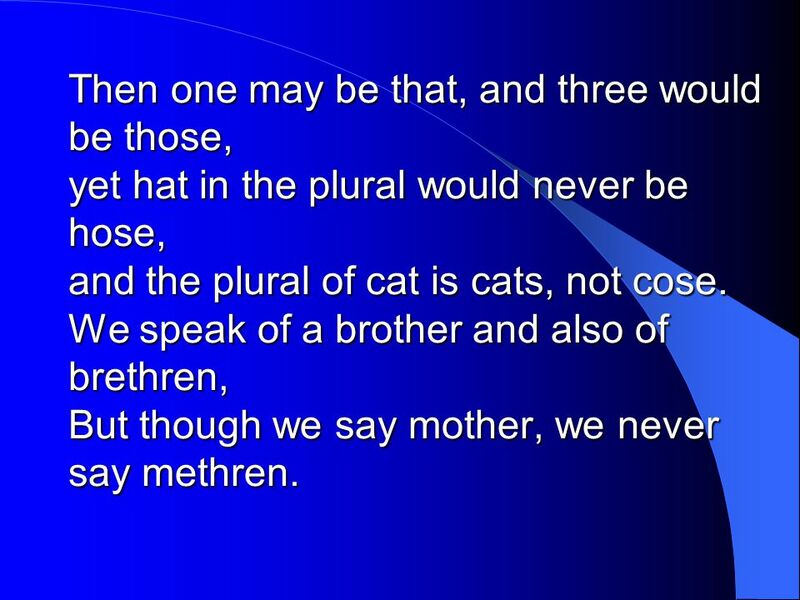 We speak of a brother and also of brethren, But though we say mother, we never say methren. 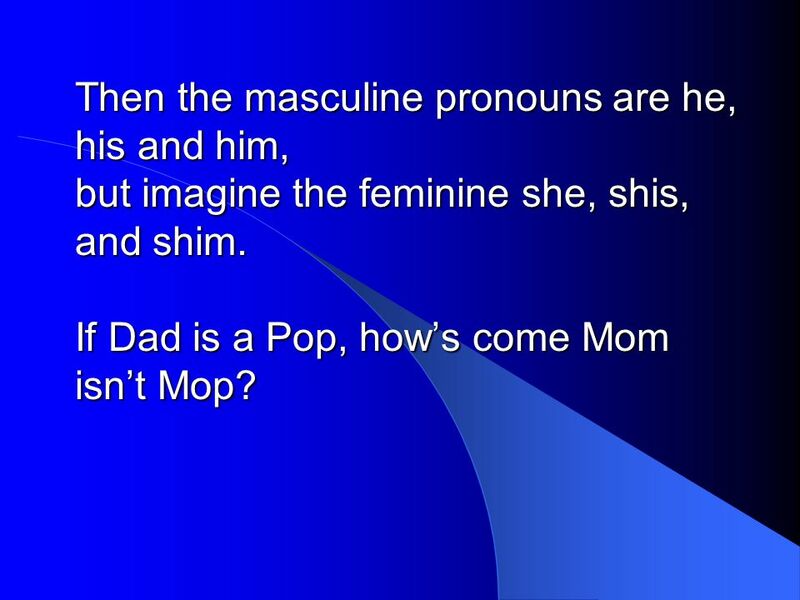 5 Then the masculine pronouns are he, his and him, but imagine the feminine she, shis, and shim. If Dad is a Pop, how’s come Mom isn’t Mop? 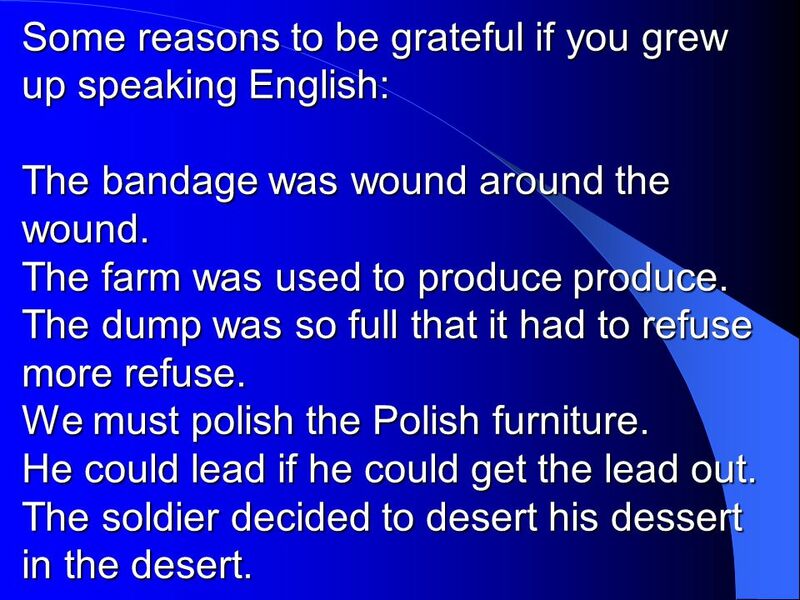 6 Some reasons to be grateful if you grew up speaking English: The bandage was wound around the wound. The farm was used to produce produce. The dump was so full that it had to refuse more refuse. We must polish the Polish furniture. He could lead if he could get the lead out. The soldier decided to desert his dessert in the desert. 7 Since there is no time like the present, he thought it was the time to present the present. At the Army base, a bass was painted on the head of a bass drum. When shot at, the dove dove into the bushes. I did not object to the object. The insurance was invalid for the invalid. 8 There was a row among the oarsmen about how to row. They were too close to the door to close it. The buck does funny things when the does are present. A seamstress and a sewer fell down into a sewer line. To help with planning, the farmer taught his sow to sow. The wind was too strong wind the sail. 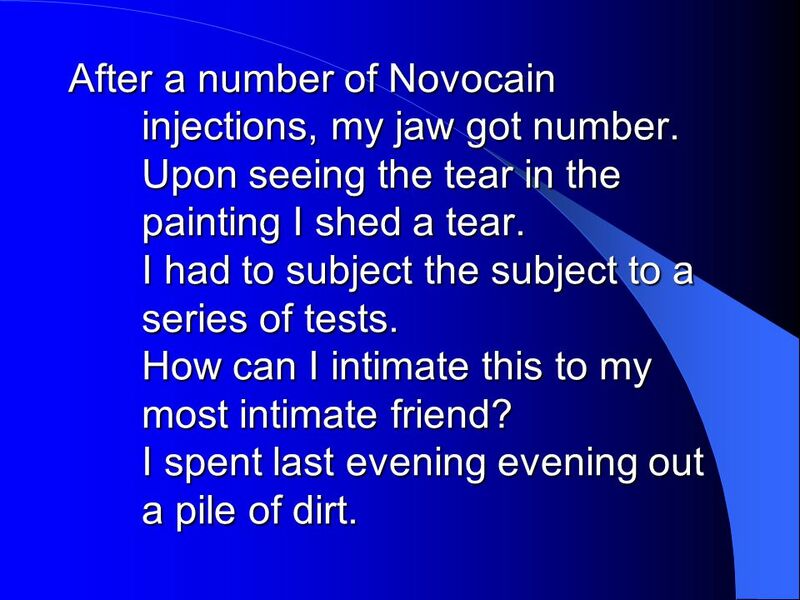 9 After a number of Novocain injections, my jaw got number. Upon seeing the tear in the painting I shed a tear. I had to subject the subject to a series of tests. How can I intimate this to my most intimate friend? I spent last evening evening out a pile of dirt. 10 Screwy pronunciations can mess up your mind! For example… If you have a rough cough, climbing can be tough when going through the bough on a tree. Let’s face it. 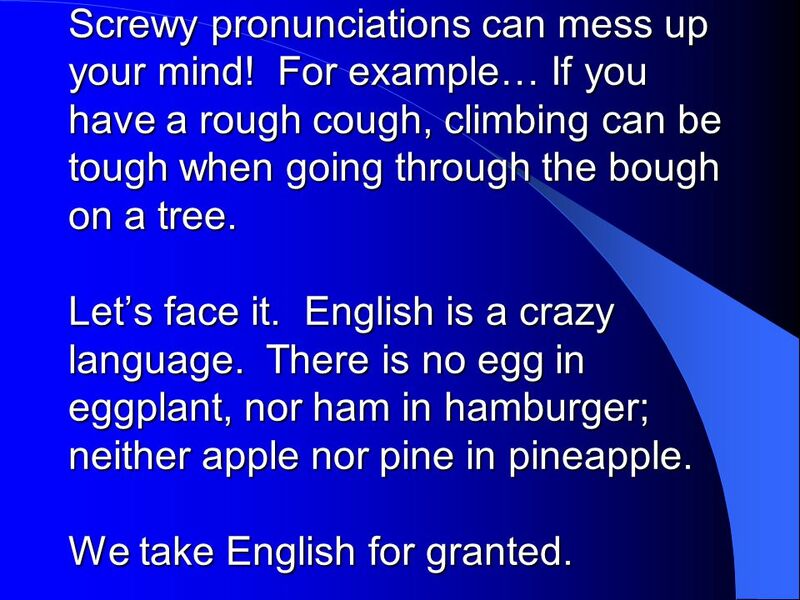 English is a crazy language. There is no egg in eggplant, nor ham in hamburger; neither apple nor pine in pineapple. We take English for granted. 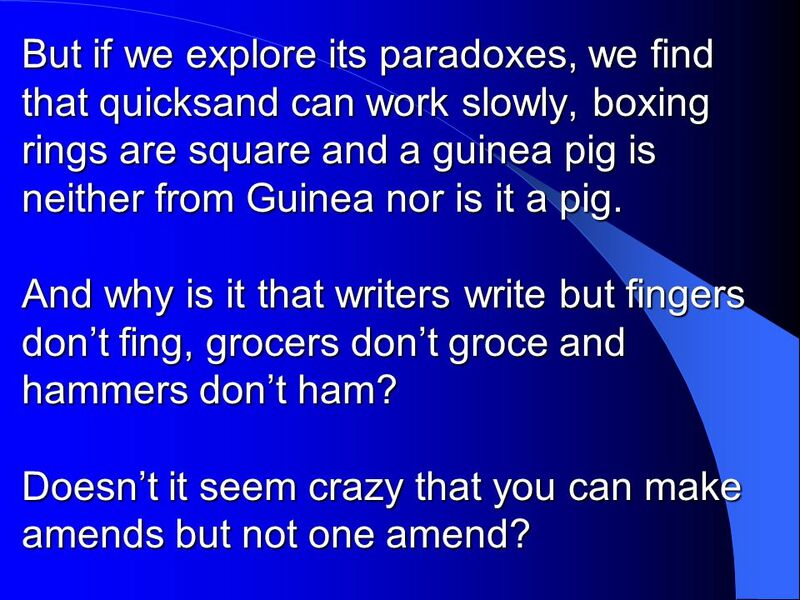 11 But if we explore its paradoxes, we find that quicksand can work slowly, boxing rings are square and a guinea pig is neither from Guinea nor is it a pig. And why is it that writers write but fingers don’t fing, grocers don’t groce and hammers don’t ham? Doesn’t it seem crazy that you can make amends but not one amend? But if we explore its paradoxes, we find that quicksand can work slowly, boxing rings are square and a guinea pig is neither from Guinea nor is it a pig. And why is it that writers write but fingers don’t fing, grocers don’t groce and hammers don’t ham? Doesn’t it seem crazy that you can make amends but not one amend? 12 If you have a bunch of odds and ends and get rid of all but one of them, what do you call it? 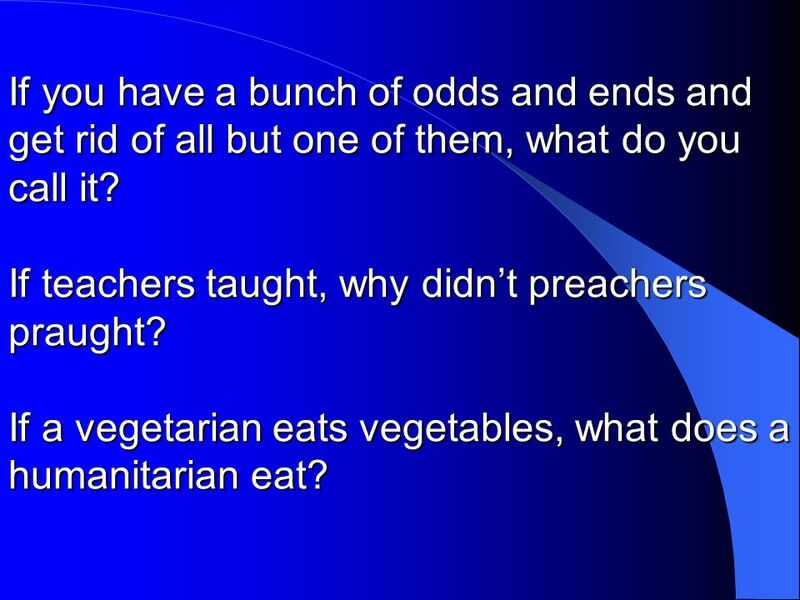 If teachers taught, why didn’t preachers praught? If a vegetarian eats vegetables, what does a humanitarian eat? If you have a bunch of odds and ends and get rid of all but one of them, what do you call it? If teachers taught, why didn’t preachers praught? If a vegetarian eats vegetables, what does a humanitarian eat? 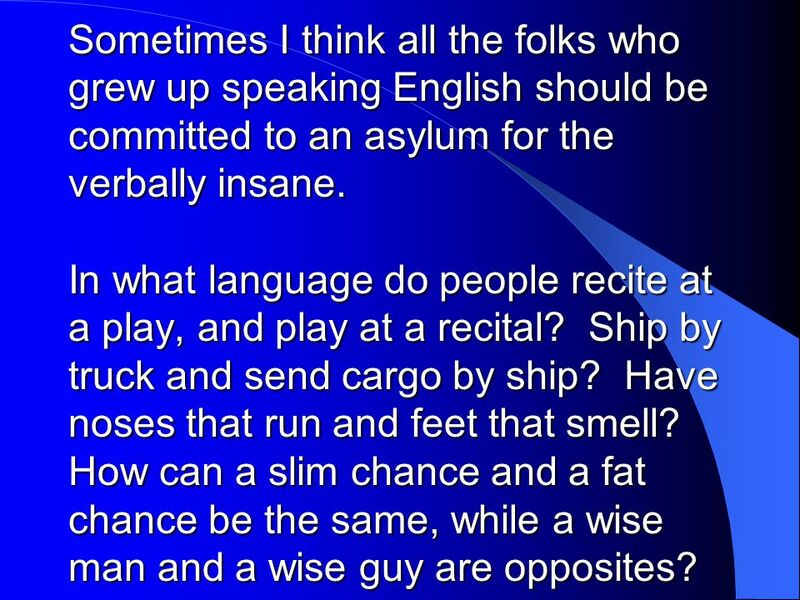 13 Sometimes I think all the folks who grew up speaking English should be committed to an asylum for the verbally insane. In what language do people recite at a play, and play at a recital? Ship by truck and send cargo by ship? Have noses that run and feet that smell? How can a slim chance and a fat chance be the same, while a wise man and a wise guy are opposites? 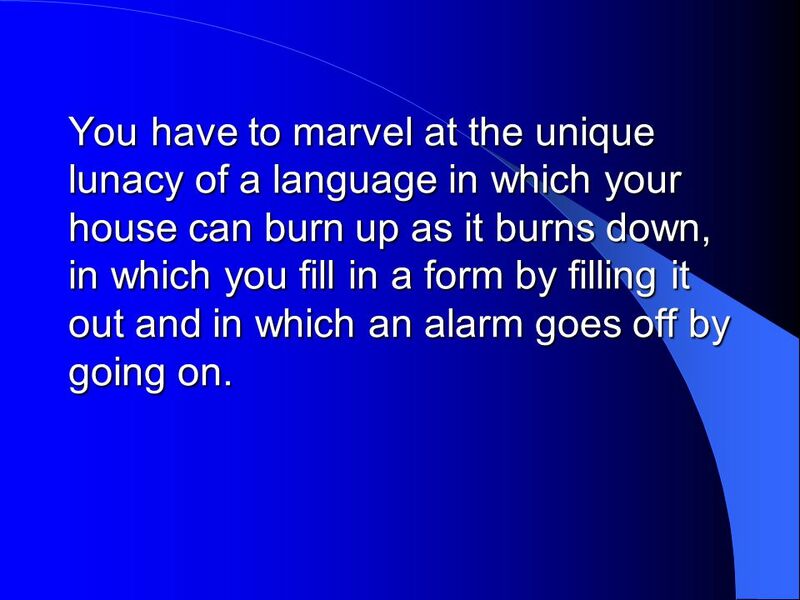 14 You have to marvel at the unique lunacy of a language in which your house can burn up as it burns down, in which you fill in a form by filling it out and in which an alarm goes off by going on. 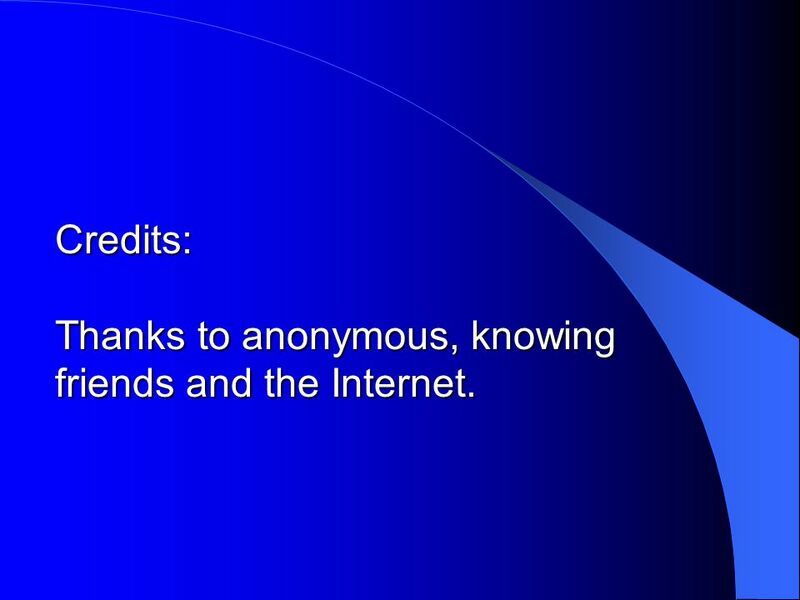 15 Credits: Thanks to anonymous, knowing friends and the Internet. 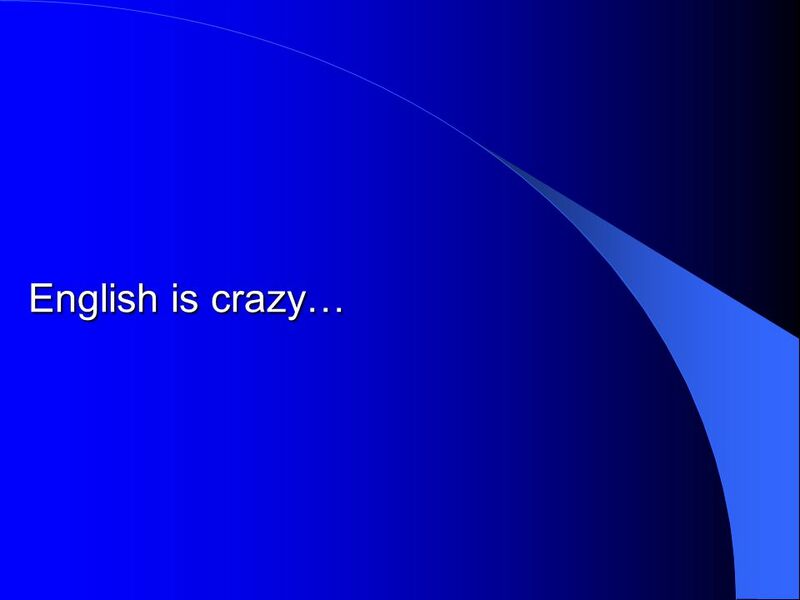 Download ppt "English is crazy…. 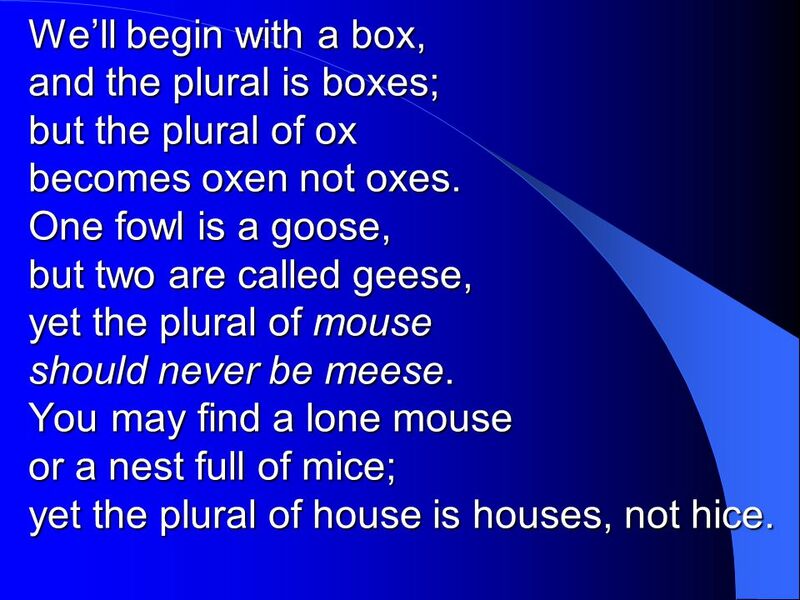 We’ll begin with a box, and the plural is boxes; but the plural of ox becomes oxen not oxes. One fowl is a goose, but two are called." Culture Assimilator Stimulator 1 Unit 1: Le çons Pr é liminaires. 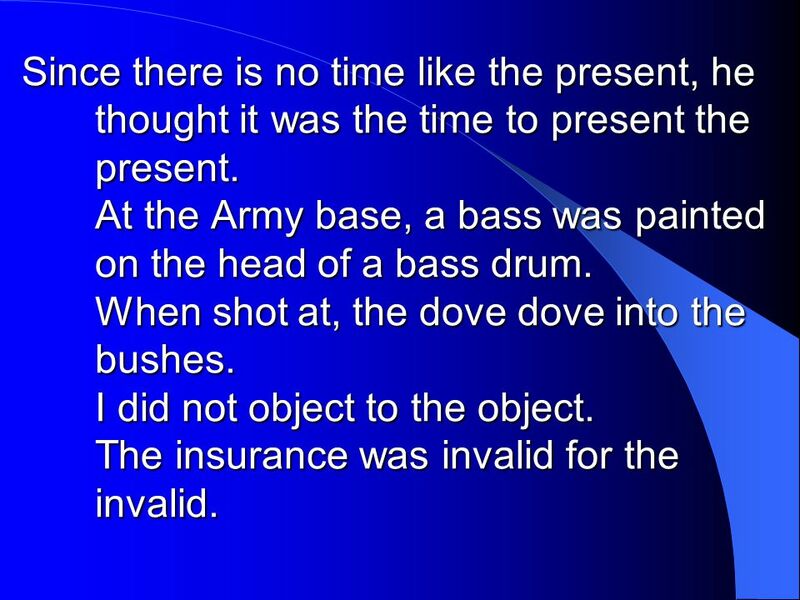 Homographs Read the sentence orally. Can you read it correctly the first time? Why English is so Hard to Learn. A seamstress and a sewer fell down into a sewer line. By Brady Kocher, PhD North Carolina State University 2013. The bandage was wound around the wound. The farm was used to produce produce. The dump was so full that it had to refuse more refuse. Gale Klotsko, August 2011 CTE Conference Workshop. English Language Arts Punctuation & Diction. An English professor wrote the words "A woman without her man is nothing" on the chalkboard and asked his. Газетный функциональный стиль. Ryerson University, Canada Egerton Ryerson Как готовят журналистов.